Local promoter Jordan Clements fights for belonging and diversity. "If you book them, they will come." So goes the rule in Wayne's World 2—and so goes the rule in the promoting world. When the sun sets over the Oquirrh Mountains, Salt Lake City's nightlife emerges, with enthusiasts looking for a floor to mosh or dance on. A cavalcade of events brings the masses downtown. One night, it's the "werqin' girls" of RuPaul's Drag Race paired up with talented local queens. Other nights, diehard fans of technical death metal might call for something more niche from the likes of Cryptopsy or Fleshgod Apocalypse. Whatever floats your boat, there's a critical aspect of live performance that often goes overlooked: the behind-the-scenes efforts that bring in bands and artists. Booking nightly acts in the city might seem like an unremarkable job. 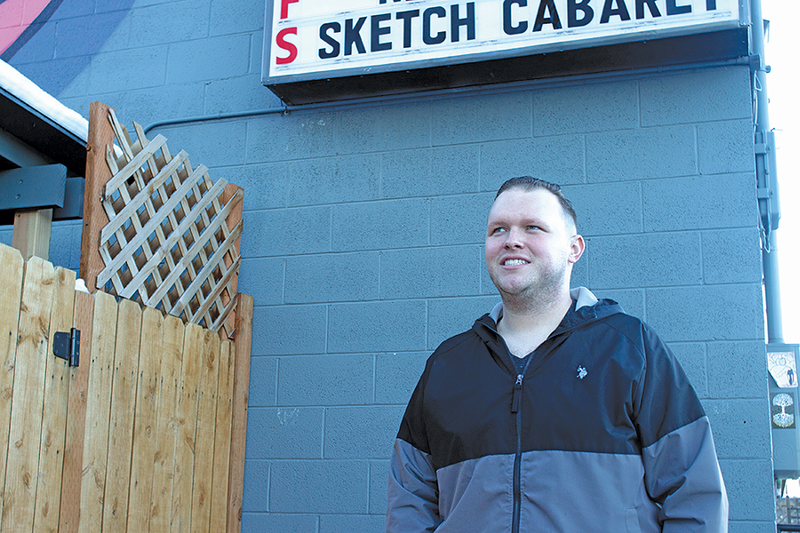 But for Jordan Clements, founder and owner of JRC Events, promoting drag shows and alternative bands has become something of a statement in a metropolis notable for its religious culture and strict liquor laws. In 2017, The Boston Globe called Salt Lake City "America's super gay, super cool hipster haven." But is it really? From the outside, a multitude of LGBTQ-friendly spaces exist, and 4.7 percent of the city's population identify as such. However, some of these spaces are slowly disappearing (see: the closings of the historic Paper Moon bar and Club Jam). The disappearance of spaces for LGBTQ folks was one of the factors driving Clements in 2013, when he joined forces with Metro Music Hall, The Complex and other venues. "It's hard being a queer person in Utah," Clements says. "I felt that [Salt Lake City's club scene] was like my second family, and I think that's what made me dig more into that industry." The 28-year-old got his first taste of promoting in the local rave scene. By handing out flyers for his friends' bands and weekly dance events and ingratiating himself even more into the city's discotheque community with The Kollective's street team, Clements slowly built his name. "I just started booking shows for my friends because I wanted people to have that experience I had when I was younger," he says. That experience started in Lehi, where Clements was raised. Being gay in a city named after a Book of Mormon prophet wasn't easy. Clements and his friends sought refuge from the mundane routines of work and school at weekly parties and shows in Utah County. "We'd always go to Velour and Muse Music," he reminisces. "That's what we did on the weekends since we weren't old enough to go to the clubs. I just thought it was so awesome that people had somewhere to go where they felt that connection with other people in a non-judgmental environment." Continuing the hustle with the help of mentor and friend Jeffery Hacker of Dance Evolution, Clements started building a network. "That was my first club-type family," he says. "Jeff was one of the first people that pushed me off the high dive into booking events." Around 2016, Clements started aiming to bring even more flavor to the saltiest place on Earth, taking his company into the fierce world of drag. "I saw that we were kind of lacking [what] a lot of other cities had [with] drag shows," he says. "I remember going to Club Sound and seeing the local drag queens perform—and I thought it was just so phenomenal. The costumes, the performances ... that's where people go to get away from their regular life and have a good time." Clements' brave move into the drag world eventually paid off, attracting world-renowned queens like Alaska Thunderfuck, winner of season two of RuPaul's Drag Race: All Stars, and the now-viral Vanessa Vanjie Mateo. Aiming to connect separate scenes in Utah, Clements asked himself the question: Whoever said metal and drag couldn't coexist? "I describe metal and drag [as being] on the same spectrum," he says. "I feel like people that do enjoy those two different things are the outcast people in society. I think it's important to have somewhere to go have fun." This year, Clements debuted Crucial Drag, a milestone for JRC Events. The performance featured the season two winners of The Boulet Brothers' Dragula, Biqtch Puddin' and Dahli, and took place at the annual Crucial Fest gathering, which spans two days and nights at Utah State Fairpark. It's not all peaches in the hustle-now, sleep-later world of promoting. When Clements isn't managing meet-and-greets, overseeing security or pulling sleepless nights driving queens or bands to and from the airport, he can be spotted sipping water and mingling with the crowd between sets. He likens promoting to high-stakes gambling—except money isn't the only thing on the table. "One thing wrong and people look at you," he says. "But at the end of the day, I feel like it's worth it. Otherwise I wouldn't still be doing it." Despite the make-or-break nature of promoting and event production, the show must go on. "Even if you have a bad show, there's always a better show coming along," Clements says. "There's always something to look forward to."